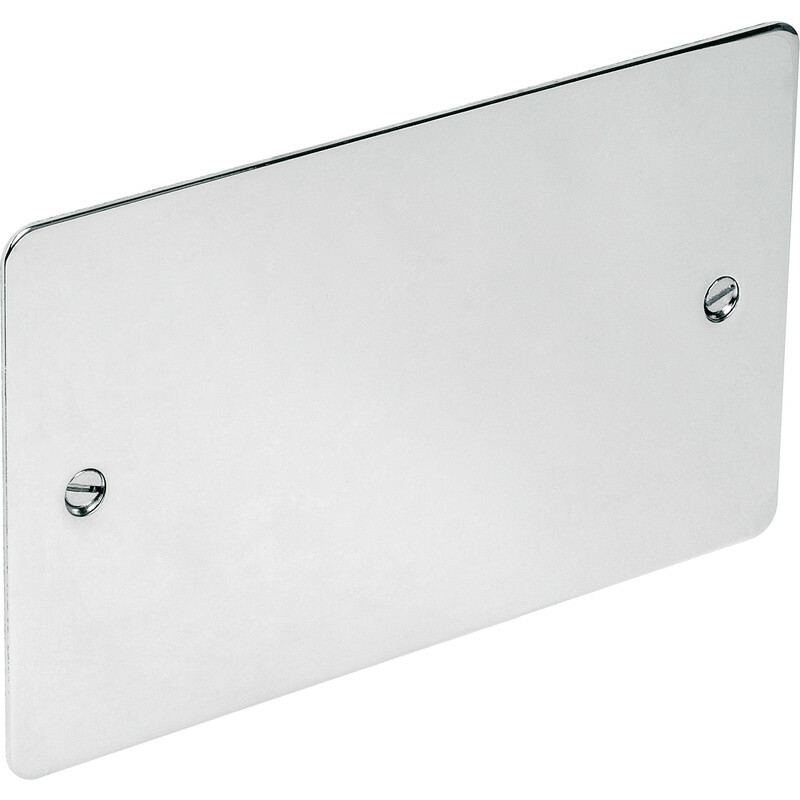 Flat Plate Polished Chrome Blank Plate 2 Gang is rated 4.5 out of 5 by 2. Rated 4 out of 5 by Bubsowen from Nice finish but not chrome There is no doubt that this plate is well finished and the corners are nicely rounded but. It is NOT chrome. It is in fact highly polished stainless steel. Therefore please bear in mind that it might not matc any genuinely chrome plated items in the room you are fitting it in.